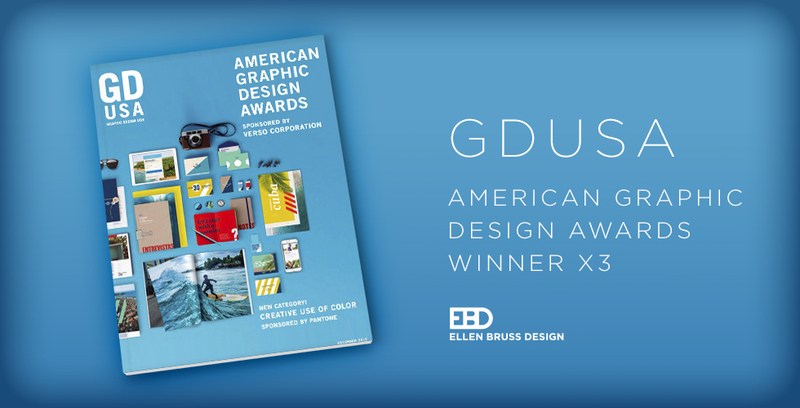 Not one, not two, but three pieces from EBD were recognized by GDUSA in their December American Graphic Design Awards issue. 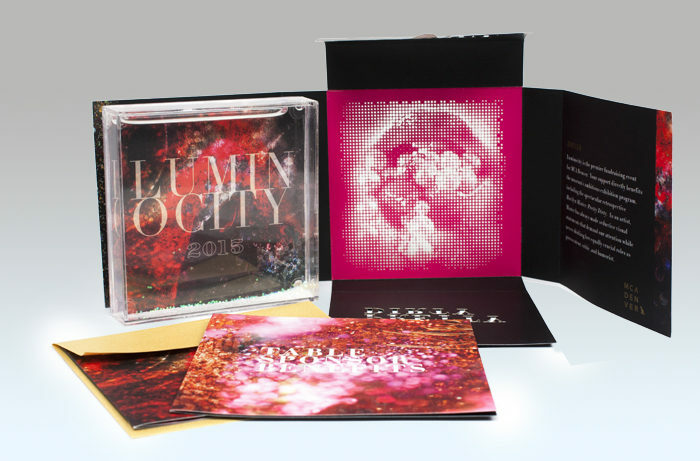 Our fun and playful 2015 Luminocity invite for MCA Denver was selected for their new category “Creative Use of Color.” This invite was a blast to create as we were able to employ a variety of specialty printing techniques. We used bright & bold pinks combined with gold foil stamping and a contrasting rich black featuring custom laser cut type and a great Marilyn Minter photograph. This truly is a colorful piece. Next up was a winner in the Packaging category. Vintage pin up girls were the inspiration in the piece we created for The Dabaratus by Bakked. 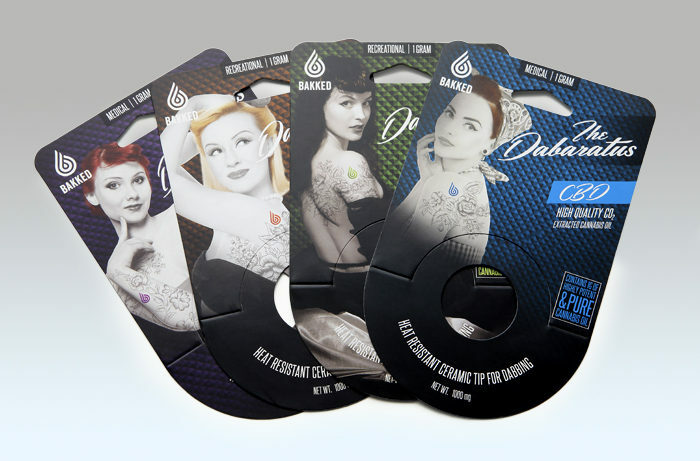 This packaging featured custom black and white images of tattooed pin up style girls against a subtly colored background. What really makes these pop is that little extra hint of color in each girl’s hair. Four pieces were created in the series, each one featuring its own unique girl and marijuana strain specific coloring. 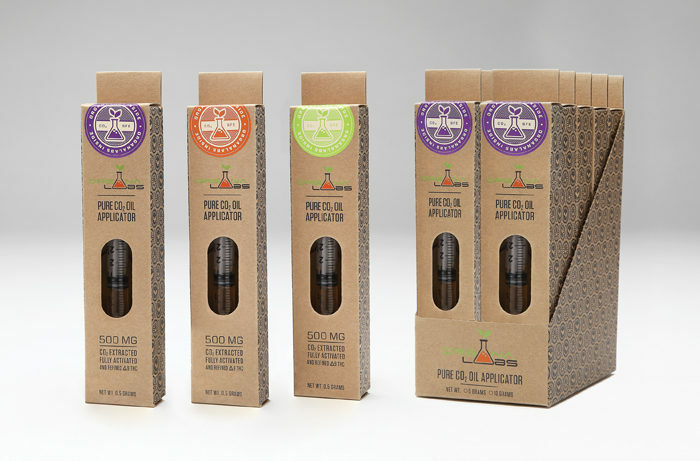 Another winner in the Packaging category was the piece we designed for the Organa Labs Applicator. A nice warm kraft paper was chosen as the base for this packaging combined with a custom black pattern printed over the sides make for a simple but effective package. The finishing touch was the color coded stickers sealing the top of each box.